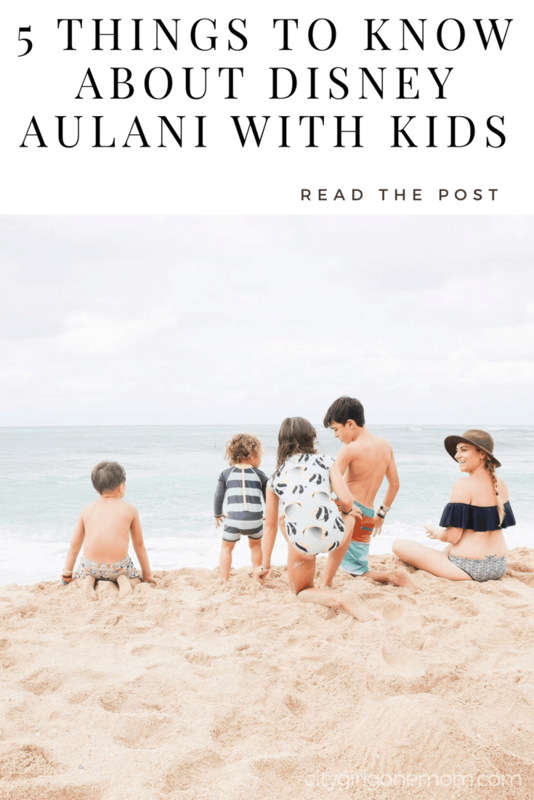 This Post Is Sponsored By My Brand Partner, Aulani A Disney Resort & Spa. As Always, All Opinions Are My Own! 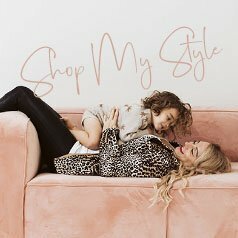 Thank You For Sponsoring CityGirlGoneMom! 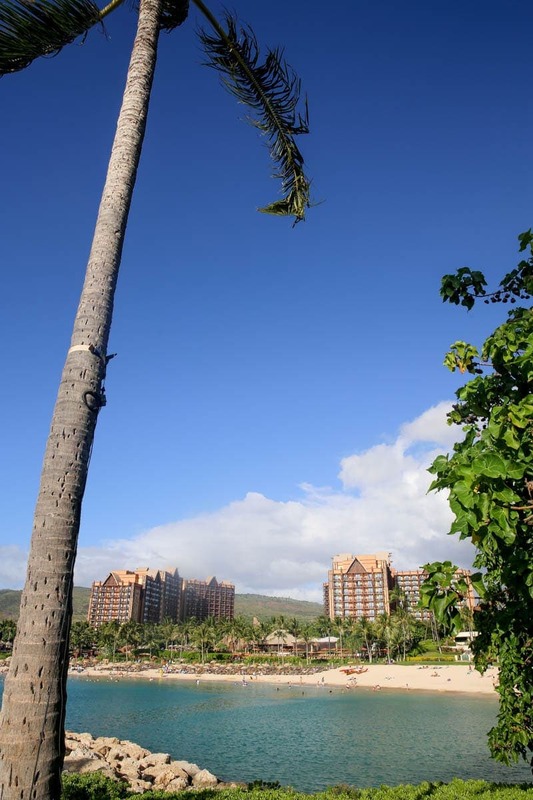 Perfectly perched on one of Oahu’s coastal beaches of Ko Olina sits Aulani, A Disney Resort & Spa. 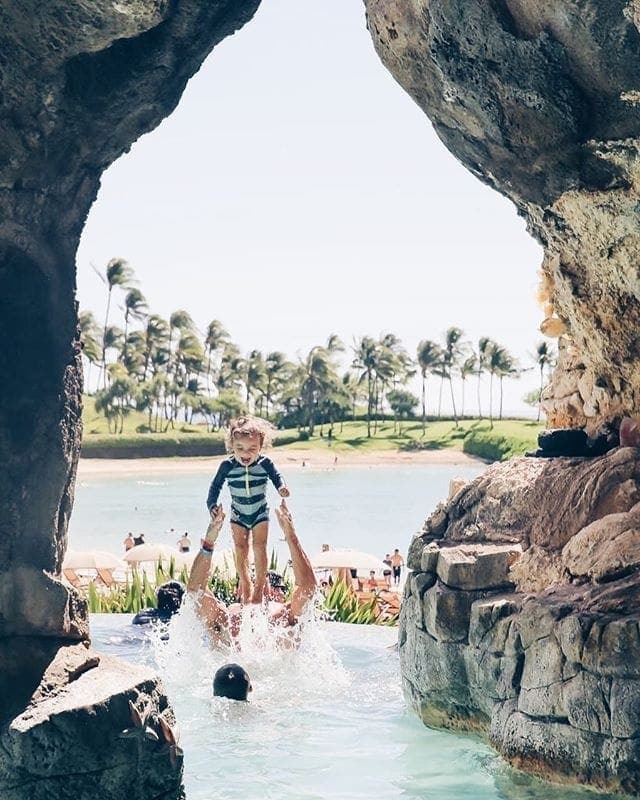 Unlike any other resort, Aulani is a brilliant blend of Hawaiian culture mixed with the magic of Disney. 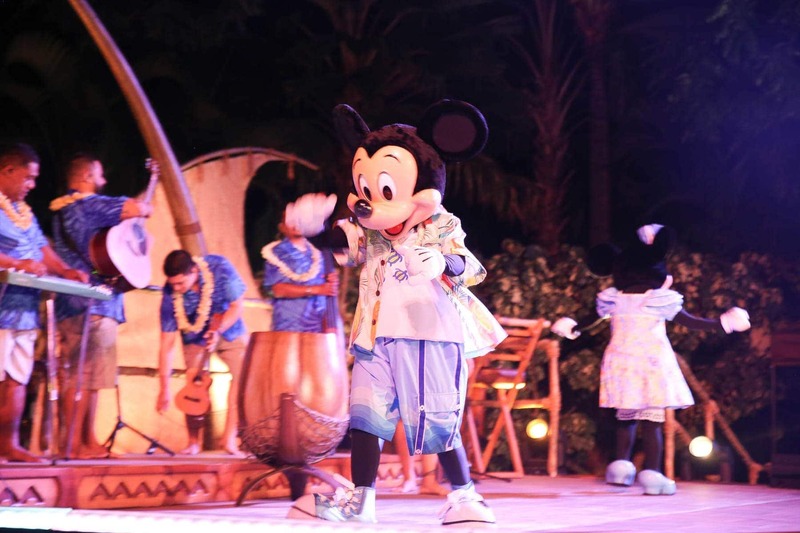 Just imagine exploring the rich traditions of Hawaii with Mickey Mouse by your side. Well, that’s exactly what Walt Disney Imagineers did, creating a one of a kind great escape on the island of Oahu. 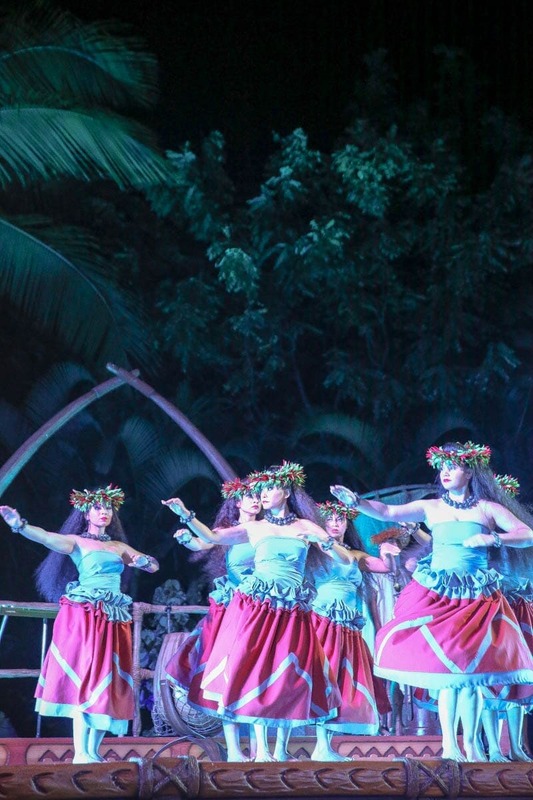 Together, cultural experts and local artisans brought this vision to life with Aulani. 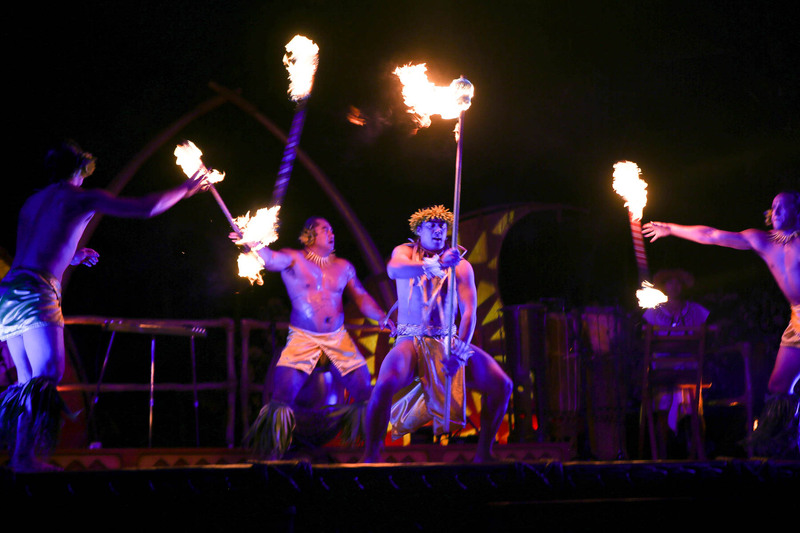 Through its stellar lineup of resort cast members, Aulani encourages guests to see and experience the culture of Hawaii. 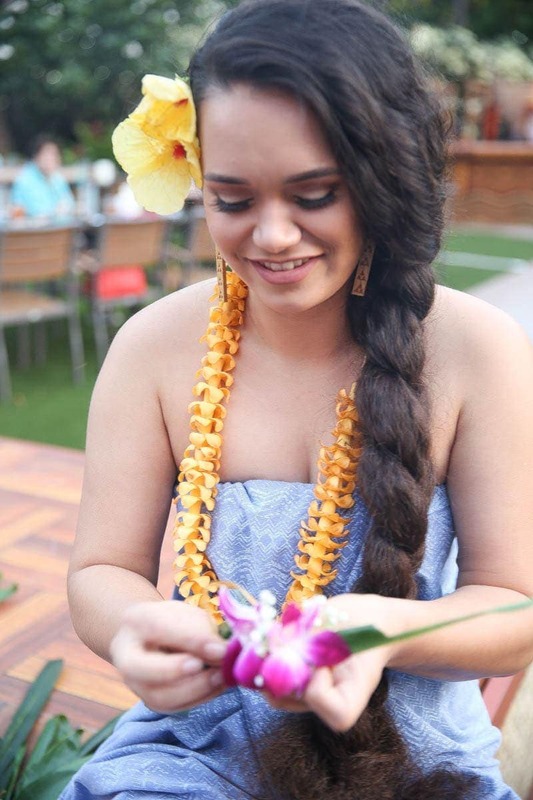 Monako, one of the native cast members shared that “Aulani” traditionally means “messenger of a chief” or “messenger of a greater authority.” The name is fitting as the resort serves as a messenger of the “higher authority” that is Hawai‘i, with its spirit and its culture. 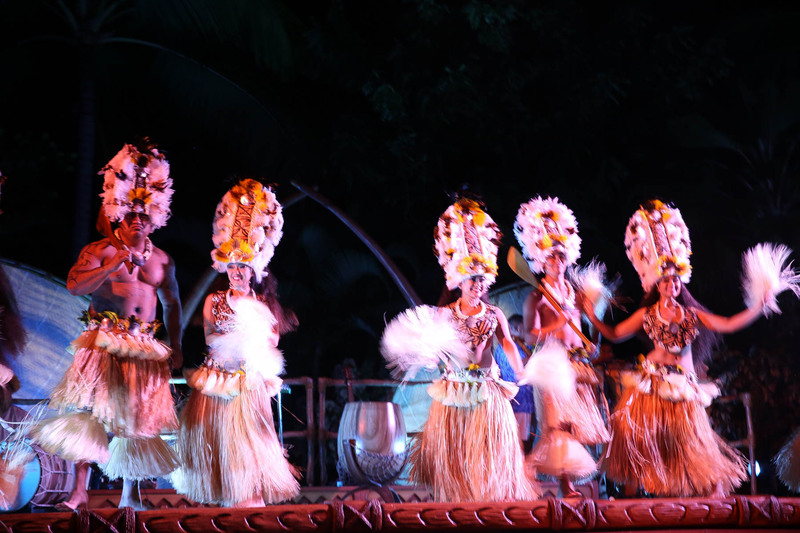 With more than 40 cast members speaking fluent Hawaiian, we found ourselves immersed in the culture, with educational experiences and life lessons sprinkled throughout our entire experience. I have always found the best way to enjoy and appreciate a family vacation is to immerse yourself, and live/learn as the locals do. And that’s exactly what we did the minute we stepped onto this magical land of Aloha! 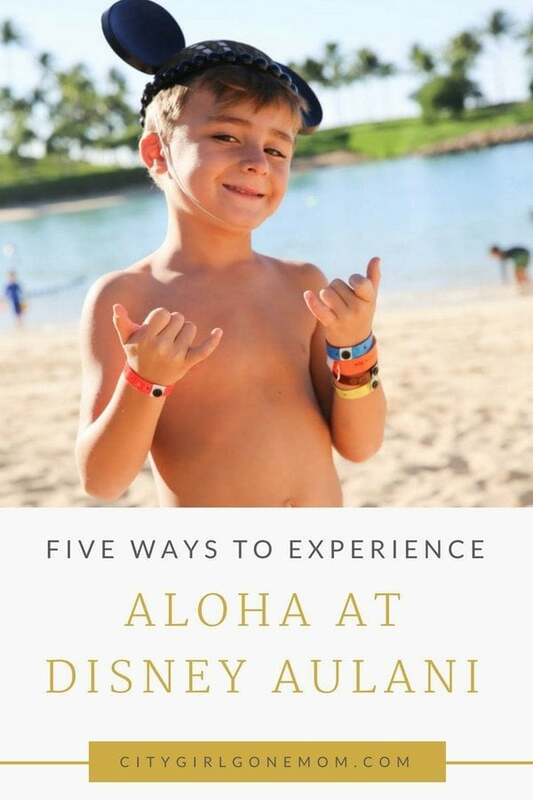 Five Ways to Experience the Magic of Aulani! 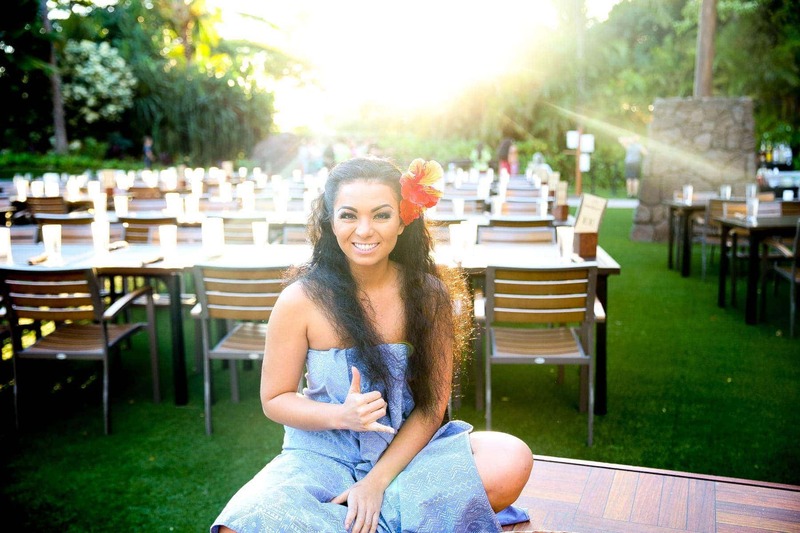 To experience Hawaiian hospitality at its finest, this traditional Hawaiian feast is a must. 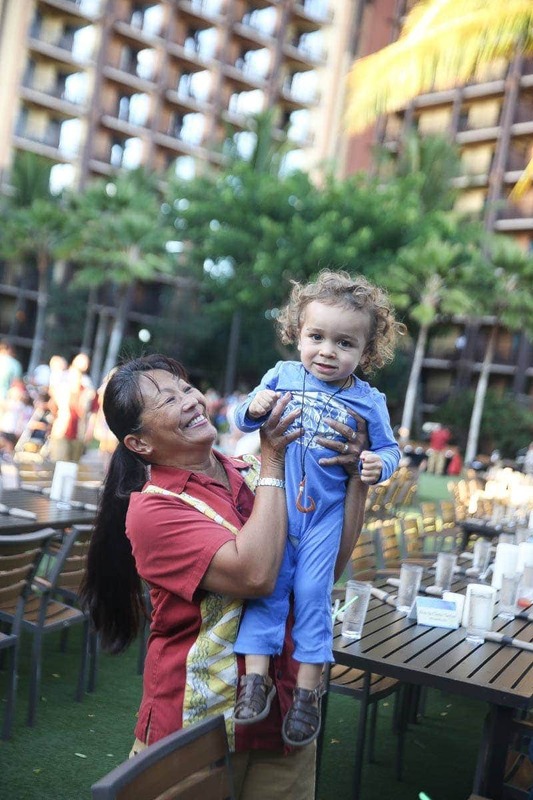 Aulani not only got it right, we were embraced by what is referred to as ‘Ohana, the Hawaiian concept of family. Our server, Janet, treated us like family from the start, and the feeling was mutual. She was smitten by baby Brody, and by the end of the night we called her Auntie. 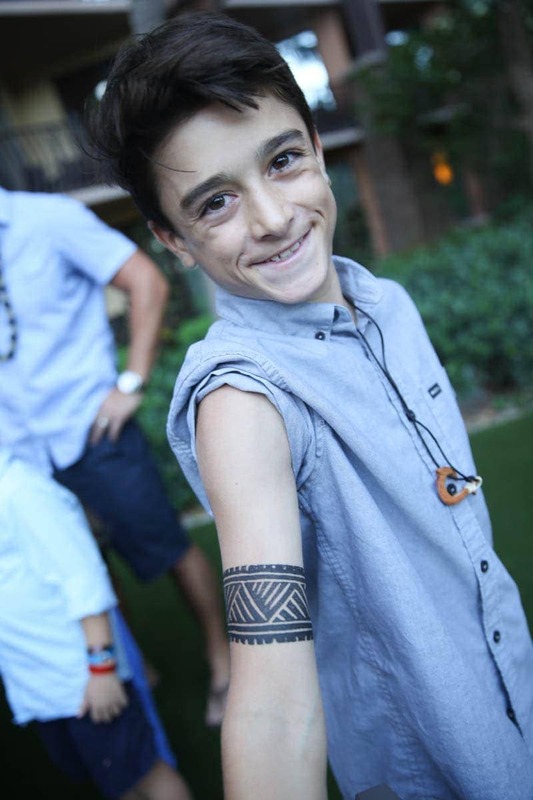 We first saw KA WA‘A, the luau at Aulani, from the balcony of our room, and we couldn’t wait to partake in what ended up being my alltime favorite cultural experience. “KA WA‘A,” or “the canoe,” symbolizes the incredible journey across the ocean by the Hawaiian people—from ancient times to the present day. 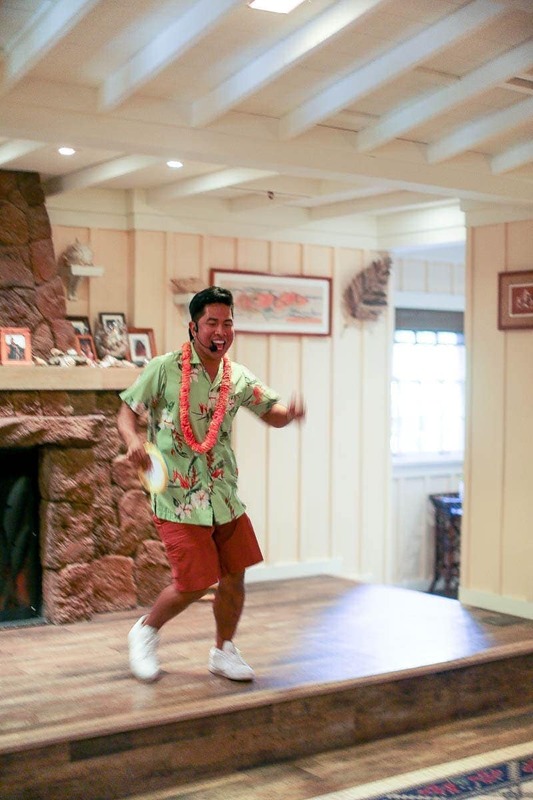 This traditional Hawaiian party was accompanied with an entertaining story, and incredible Hawaiian foods. 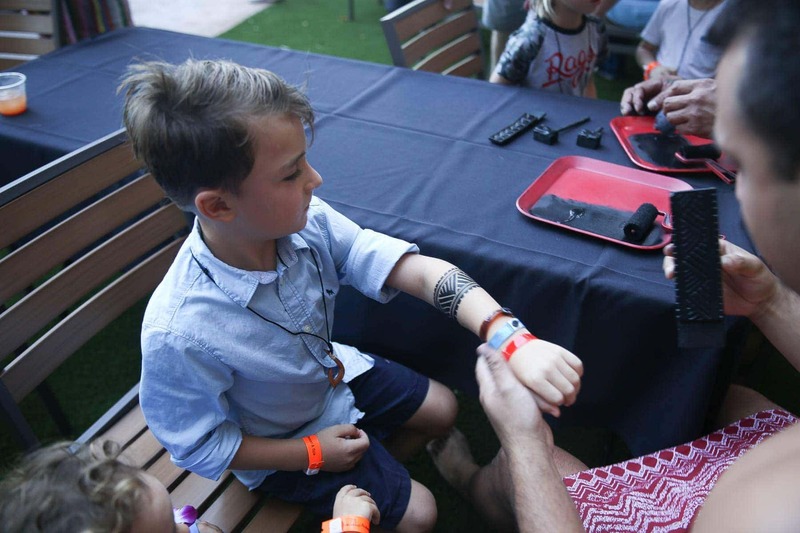 But before the festivities began, my kids enjoyed an hour of family activities, like making Poi and getting Polynesian tattoos. They also made traditional lei’s and participated in kapala (printing). 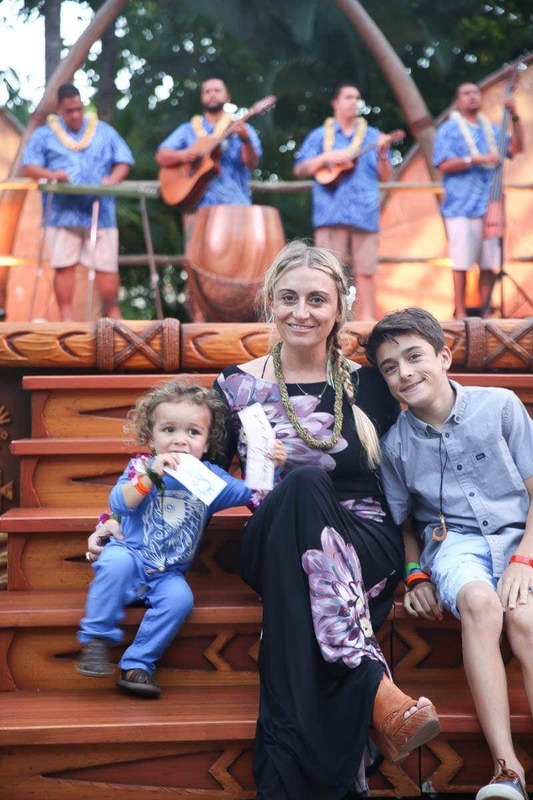 The hula dancing captivated my daughter Dylan, while Jackson, my oldest son, watched flames being thrown and strategically caught by men in native Hawaiian garb. Watching my children learn to Hula with Mickey by their side was spectacular. Before the show, we feasted on an extravagant island buffet with seasonal vegetables, fresh seafood, poke (my favorite), Okinawan potatoes, carving stations, Hawaiian pig and so much more. 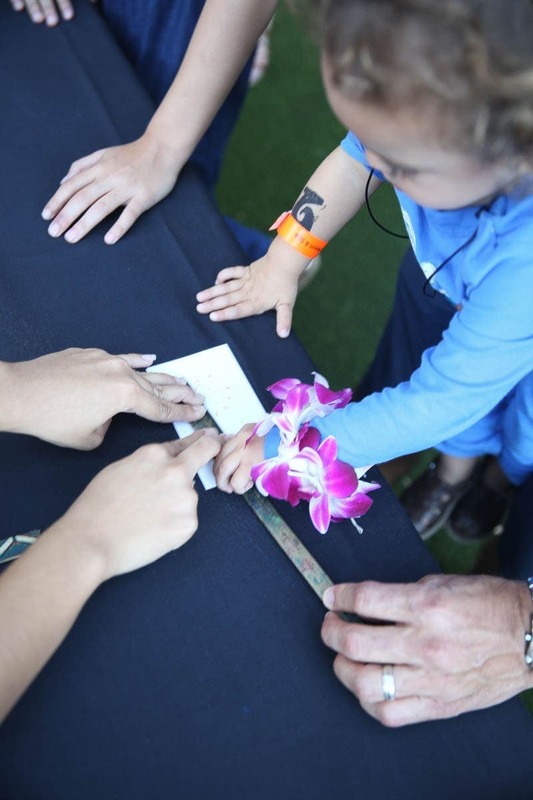 Admission starts at $119 for adults and $79 for keiki (children 3-9 years old). 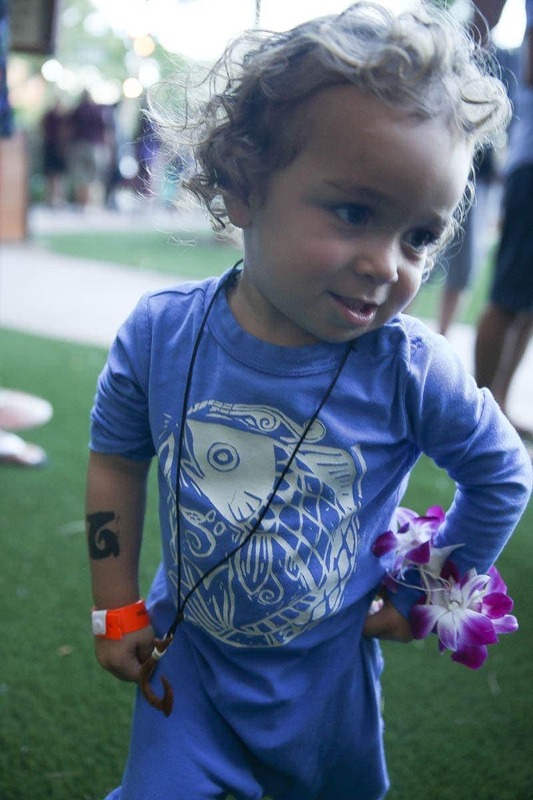 Keiki under the age of 3 attend for free. 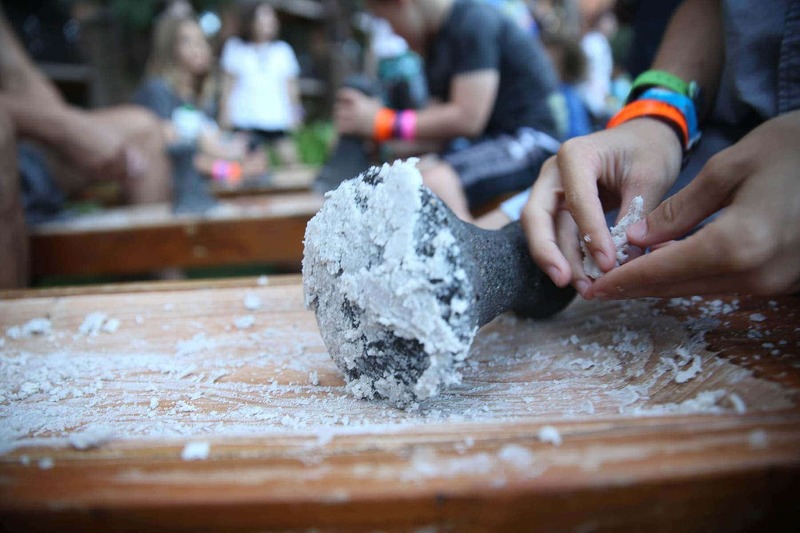 For reservations, call (808) 674-6850. Insider parenting tip: Show up at 5:00 pm for an hour of great family activities. The saying is true, “If mom and dad don’t feel well, then no one feels well.” After ten years of parenting, and with a baby still on my hip, I can attest to this. It is crucial for mom to recharge her cape every once in awhile. The Laniwai Spa (pronounced lah-nee-vai) stands for “freshwater heaven,” and is by far one of the best spas I’ve had the pleasure of setting foot upon. On arrival, I was asked to select a rock, and then the spa cast member explained how the rock had actually selected me. I was then escorted to a cascade of water where I was able to release that rock. The process was beautiful and I never felt rushed, rather the opposite. I was told numerous times to relax, to unwind and enjoy the facilities before my treatment. I was encouraged to stay as long as I wished. With 150 plus treatment options on the menu, I would have loved to stay for an entire month! 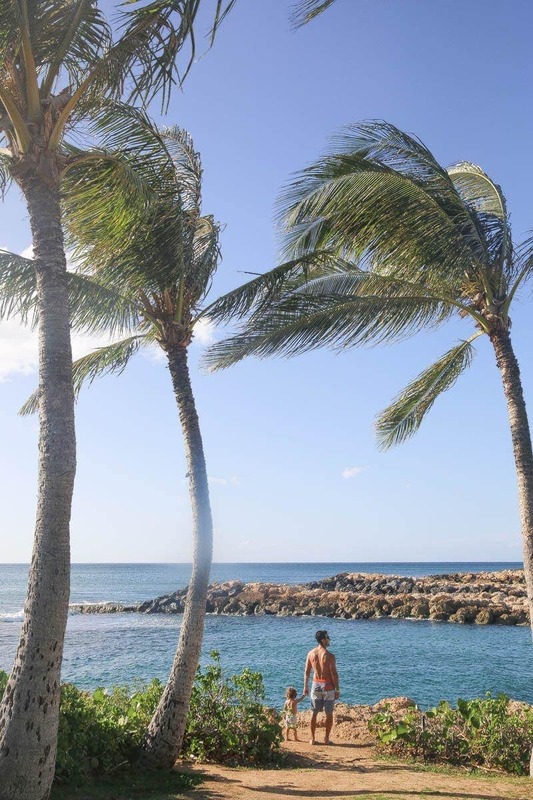 I chose to indulge in their Signature Lomilomi: a traditional Hawaiian massage that uses soothing Lomilomi sticks and warm river stones to help you achieve ultimate relaxation. This, my friends, is a parent’s dream, and more than lives up to its outstanding reputation. 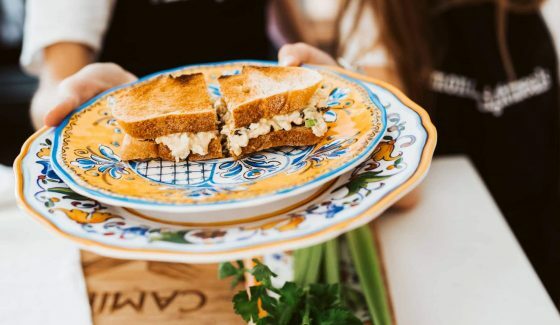 I was so relaxed, that afterward, pretending to be on a solo vacation, this mother of four embarked on her own version of Eat. Pray Love. 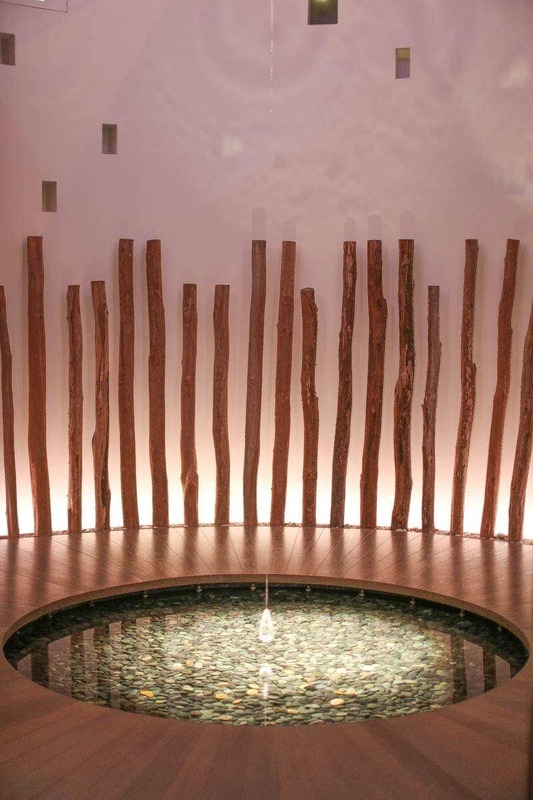 First, I vegged in one of the relaxation rooms, followed by a meditation session in the eucalyptus steam room, ending my visit in one of the glorious rain showers. 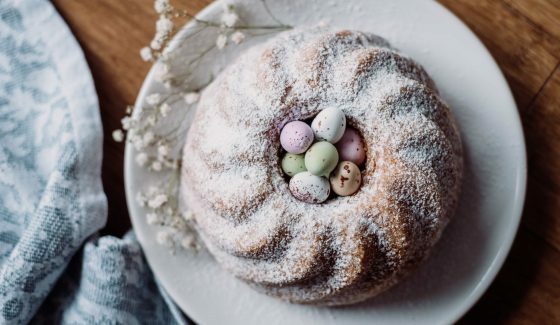 It was pure bliss, and just the escape this mom of four needed. Though we didn’t partake, I can’t go without mentioning a treatment for your Ohana. 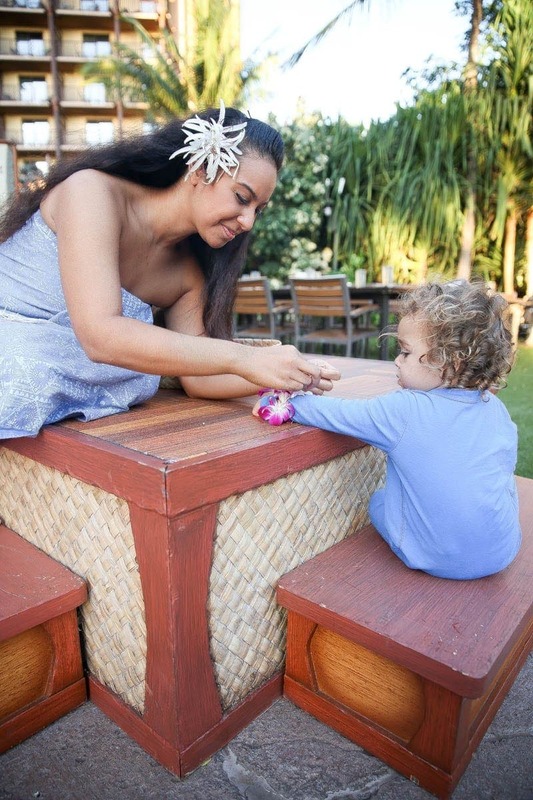 This family treatment is a special massage experience designed for three to six family members (ages 5 and up) and utilizes the healing touches of lomilomi sticks. 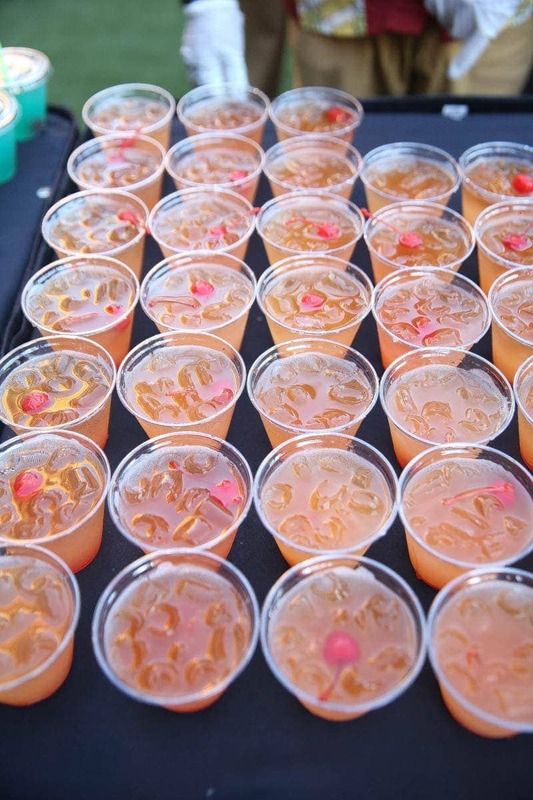 After mom’s moment in lomilomi heaven, we’ll for sure indulge by treating the whole family next time! We were told before we arrived that we really wouldn’t need to leave the resort to experience it all. Rainbow Reef, a saltwater lagoon that’s home to thousands of fish is located by the center of the resort’s pools. This on-property excursion was the perfect way to introduce my kids to snorkeling. The 3800 sq. ft. reef was plentiful in color and had marine life like butterflyfish, angelfish, surgeonfish and tangs. The kids were over the moon, and wanted to stay for hours, so we did. As a mom I enjoyed how safe it was. Life guards were in sight the entire time, both in the water and outside. I didn’t have to worry about anything unpredictable in this contained environment. The water is 77 degrees, but can feel colder to your little ones, so I recommend bringing along wetsuits just in case. And to make the experience more educational, I mentioned all the fish the kids will see beforehand, so they could be on the lookout for them. 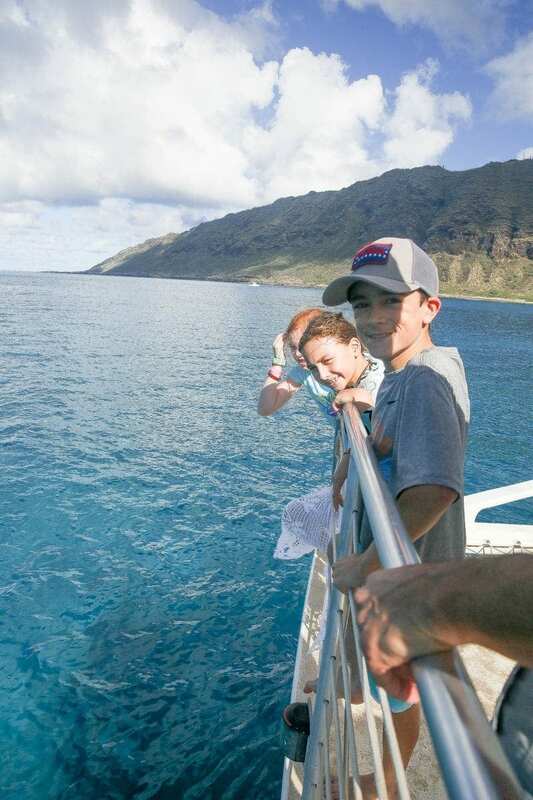 At Rainbow Reef, there are a few options for passes, and we opted for the Length Of Stay Access to get the most value. 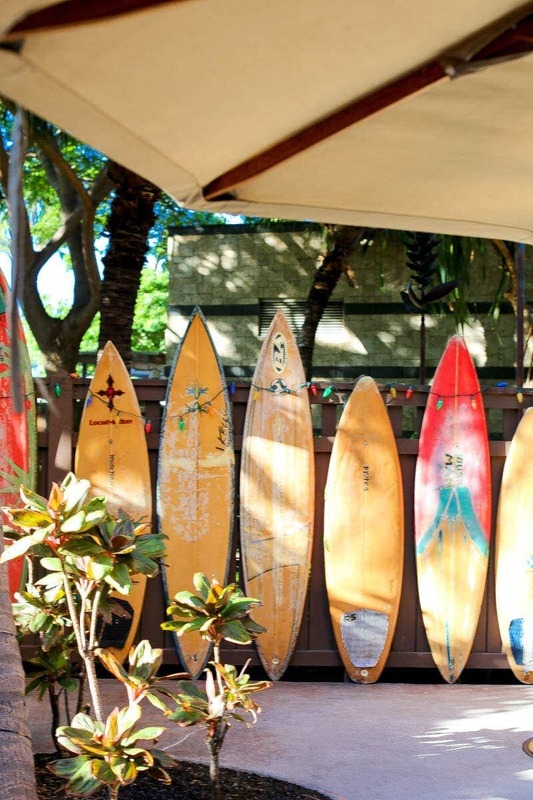 With your rainbow reef passes, you can rent boogie boards and snorkeling gear to explore the beach side of things. My kids spent hours on their boogie boards, searching for their new tropical friends in the waters below. The water is nice and calm, and makes for a picturesque setting. 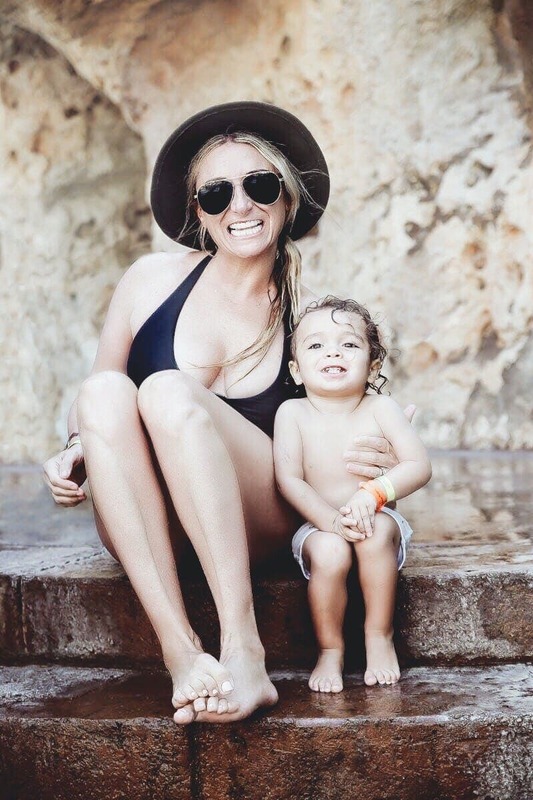 Snorkeling provides hours of entertainment not only for the little ones, but for Mom too! There are also paddle boards available for a fun way to work out while on vacay. If you choose to leave the resort and see more of the island, the Hula Hula Desk (guest services) can arrange for a catamaran guided tour. We took advantage of the opportunity, and within our first jump into the water, we were able to experience the magic of swimming with sea turtles! 1. 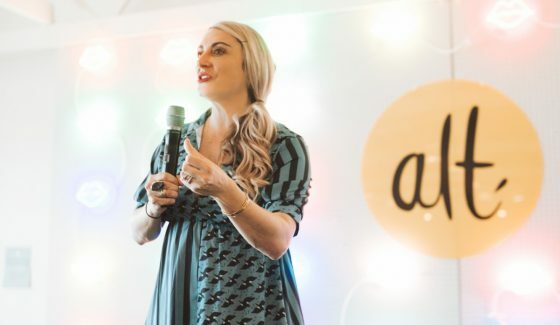 Aunty’s Beach House: (HELLO Child Care) This interactive kids club offers a variety of complimentary activities—with childcare included—for ages 3 to 12. Parents and their toddlers get to hang out together during the Open House hours between 8 a.m. – 9:30 a.m. I recommend booking ahead of time online to avoid any lines. They do have space available for walk-ins but you will have to be in line by 730 am to sign up. 2. 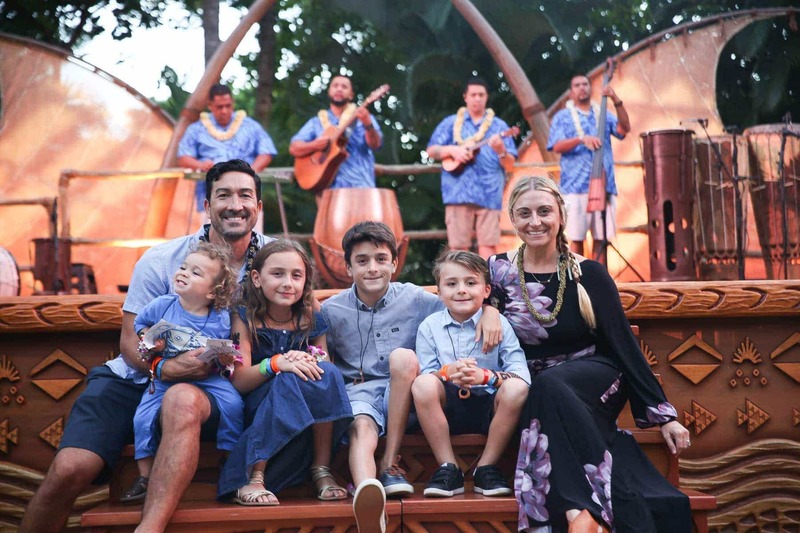 ‘Ohana Disney Movie Nights: Guests are encouraged to take a seat on the Hālāwai Lawn and watch family-friendly Disney movies under the stars. For extra amusement, go early and enjoy pre-movie trivia competitions. During our stay, they featured Cars 3. 3. 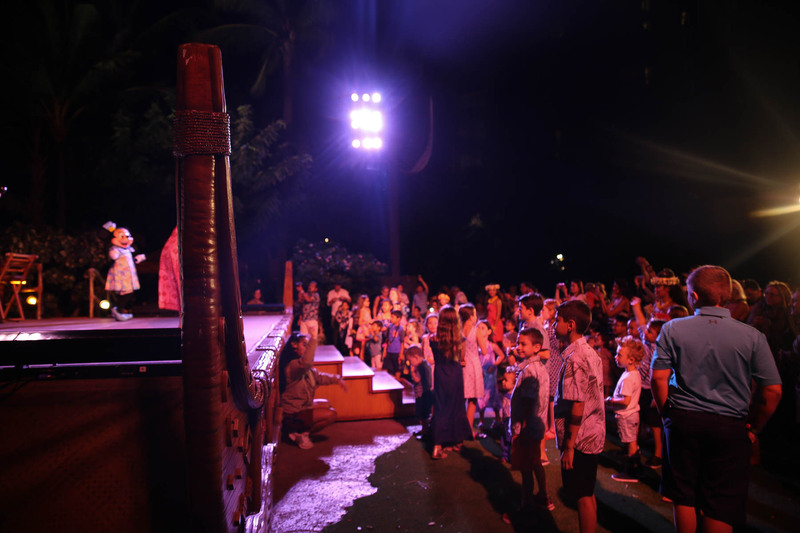 Mo‘olelo Fire Pit Storytelling: Guests of all ages gather ’round a fire for a night of enchanting tales told by a master storyteller. Mo‘olelo Fire Pit Storytelling is held at a fire pit located between the Waikolohe Valley pool area and ʻAMA‘AMA restaurant. This is suitable for kids of all ages. 4. Pau Hana Room Community Hall: For families and friends looking to connect over video games, board games, arts and crafts, books and Disney family movies, the Pau Hana Room stocks everything needed for fun! DVD rentals are also available. I thoroughly enjoyed renting movies when I wanted my kids to have quiet time. 5. 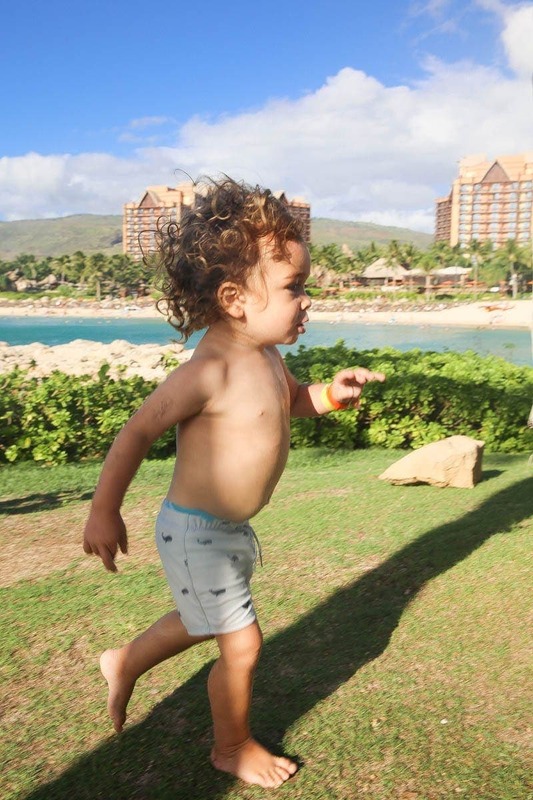 Menehune Adventure Trail: On this high-tech scavenger hunt, guests explore the resort to solve riddles, search for statues and discover surprises left by the Menehune—mischievous little people with magical powers. If you’re searching for the perfect Christmas gift for the whole family, look no further. 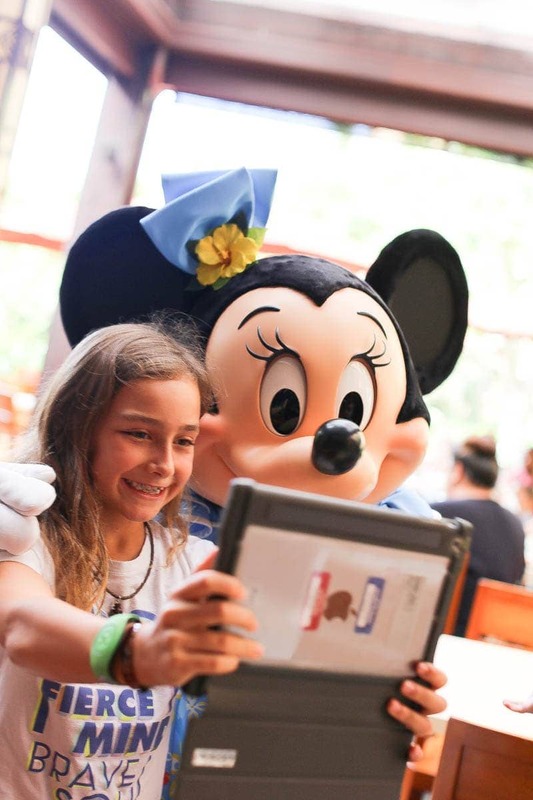 For the first time ever, guests can select from a full portfolio of Disney destinations and experiences to gift — all in one, easy-to-navigate place. 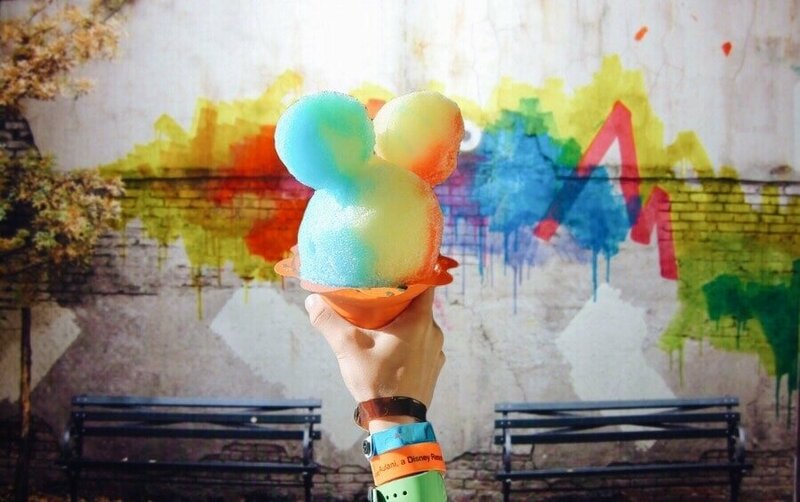 Guests can explore GiveDisneyVacations.com and open a dedicated feature page profiling each Disney destination available. 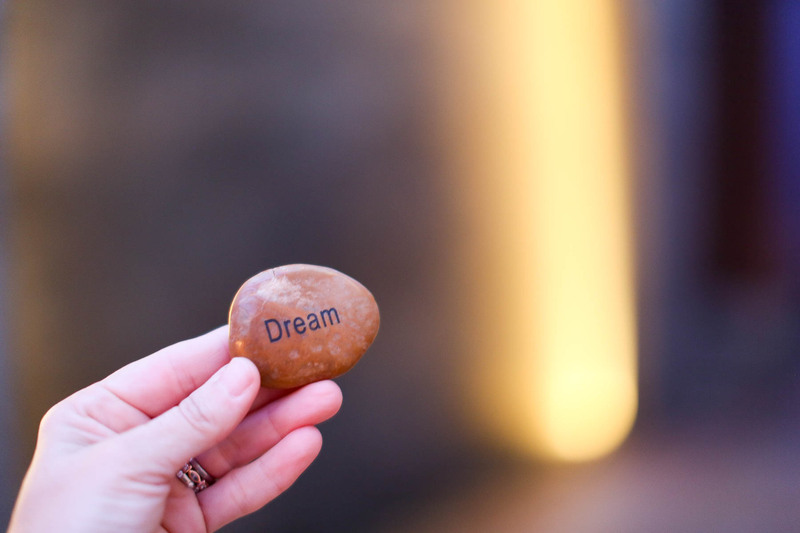 Giving the Gift Of Aulani will certainly make dreams come true this holiday season. 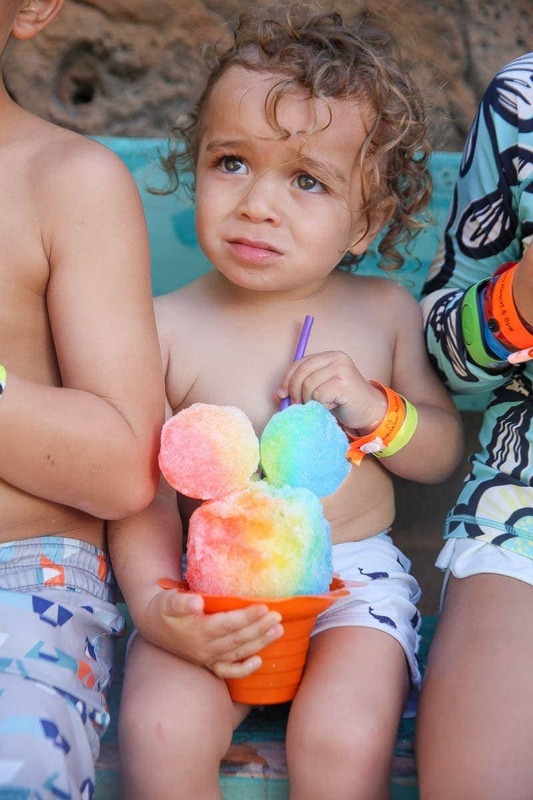 With Aulani’s exclusive Winter Offer, guests. can save up to 30% on an Ocean or Partial Ocean View room on stays of 5+ consecutive nights from April 9, 2018 – June 6, 2018. Book by January 10 and receive a $150 Resort credit. 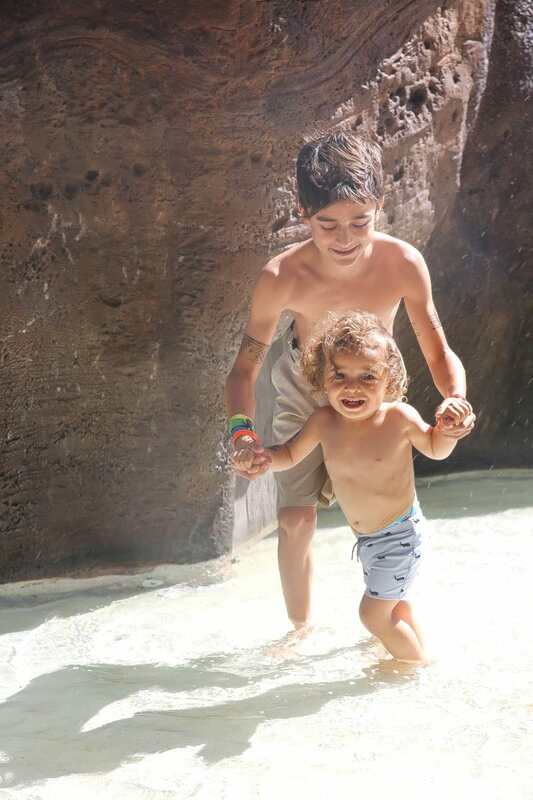 The best way to explore Hawaii is to make Aulani, A Disney Resort & Spa, part of your family’s itinerary. 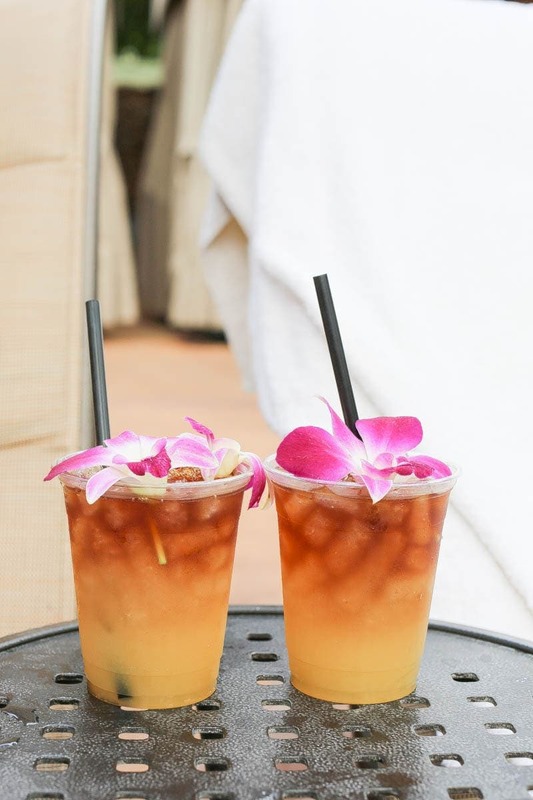 Hawaiians live with Aloha, and Aulani is the epitome of that. 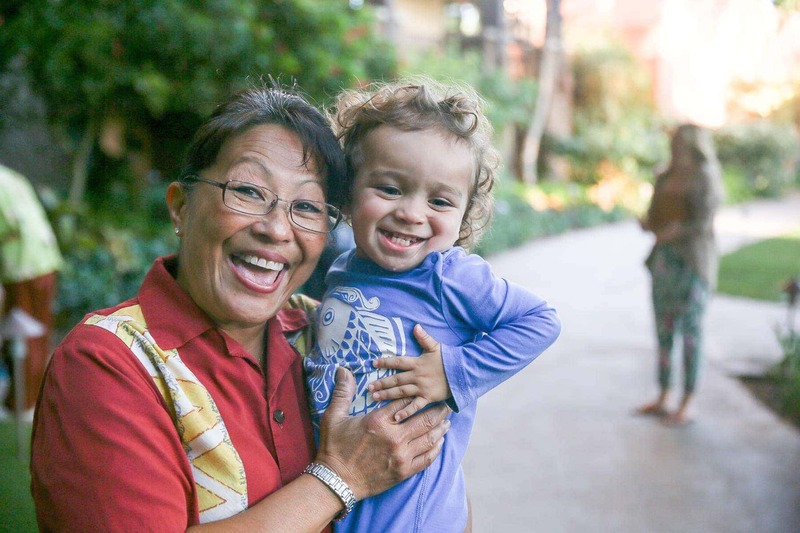 At Aulani, everyone belongs and your Ohana (family) is bound to feel special because they are. This is the only resort offering an immersive Hawaiian experience among the stellar hospitality and pure magic that only Disney can bring. 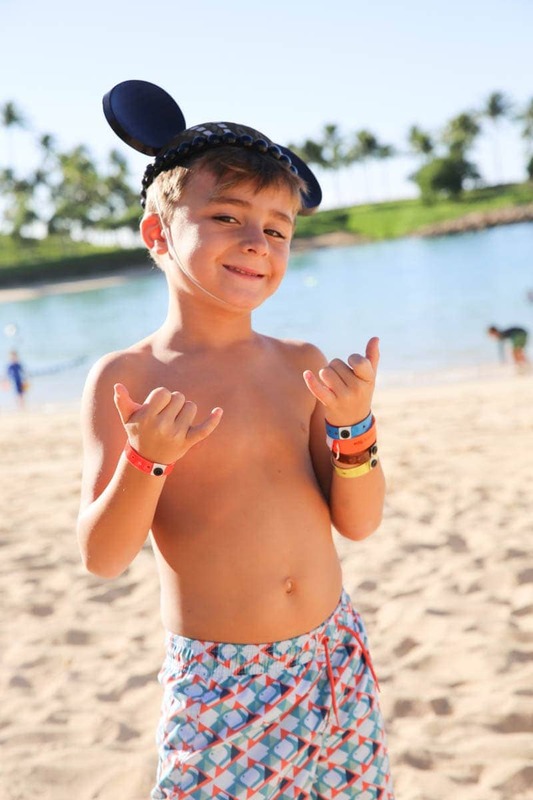 For an unforgettable experience, treat yourself and your family to Aulani this year! Thank you soo much for sharing!! I have to visit! Gorgeous pics!! You’re so welcome! It was pure magic! 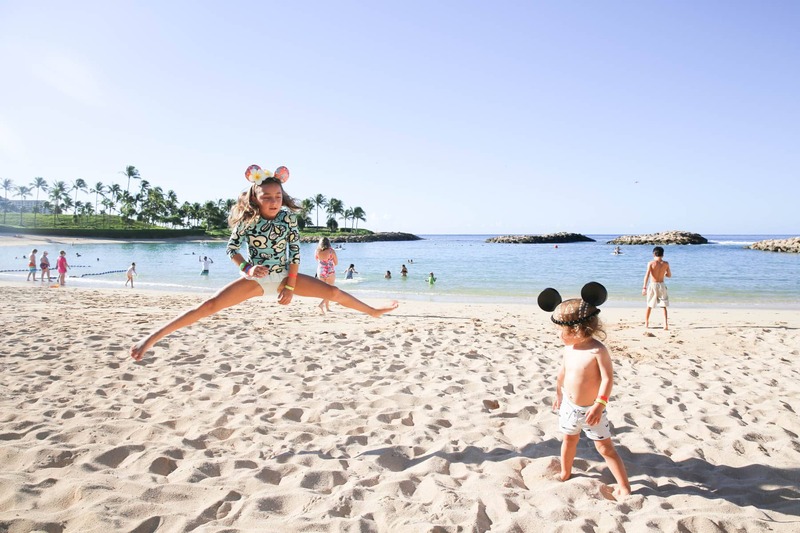 Aulani is a dream family vacation! Did you go to the north shore?! Yes we did… we rented a car for one day and was able to book all of our excursions directly from the hotel at the hula hula desk! 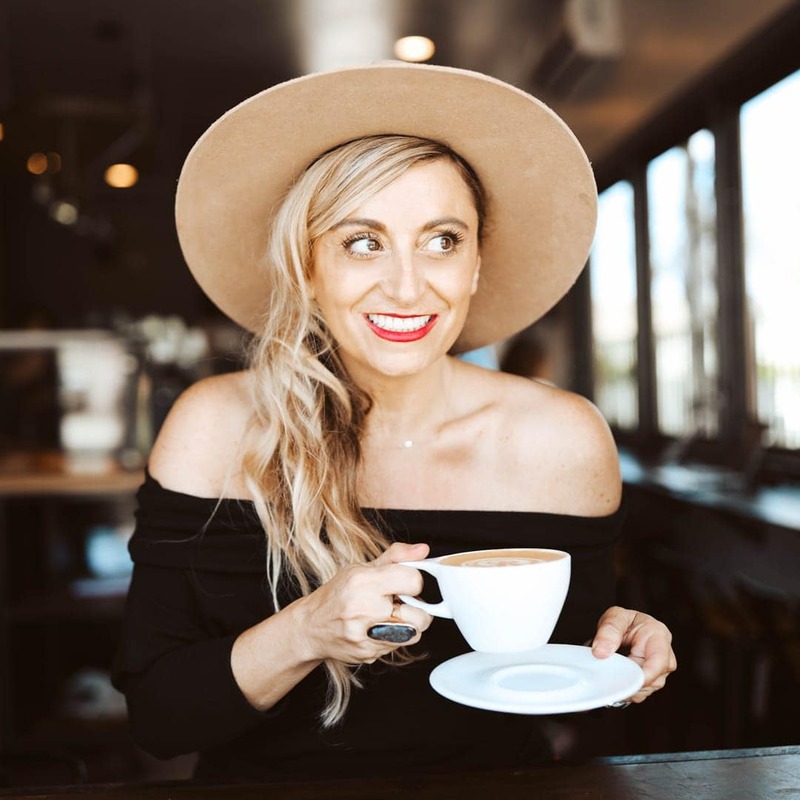 love this your post is awesome! This looks like an amazing experience! 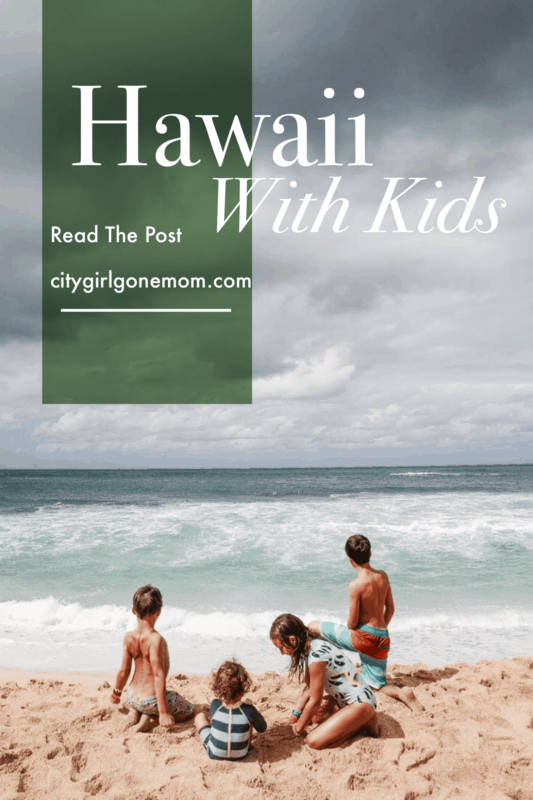 I visited Oahu in my 20s but I would love to take my kids there and I would love to stay at Disney’s Aulani. It looks like paradise!